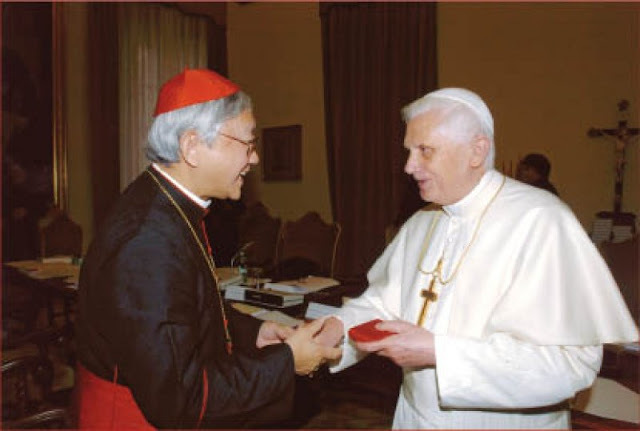 Following reports about today’s signing of a provisional agreement between China and the Holy See on the nomination of bishops, the bishop emeritus of Hong Kong, Card Joseph Zen, sent the following statement to AsiaNews. A masterpiece of saying nothing in many words The long-awaited press release from the Holy See is a masterpiece of creativity in saying nothing in many words. It says that the agreement is provisional, without saying how long it will be valid; it says that it provides periodic reviews without saying when the first deadline will be. After all, any agreement can be considered provisional since one of the two parties can always ask for a change or even the cancellation of the agreement. But the important thing is that if nobody asks to change or cancel the agreement, this, even if provisional, remains in place. The word "provisional" says nothing. "The agreement is about the appointment of bishops". The Holy See has said that many times for a long time. So, what is the result of all this work? What is the answer to our long wait? Nothing is said! Is it secret? The whole statement boils down to "There was the signing of an agreement between the Holy See and the People's Republic of China on the appointment of Bishops". All the rest are meaningless words. So, what is the message the Holy See intends to send to the faithful in China with this statement? "Have faith in us, accept what we have decided"(?) And what will the government say to Catholics in China? "Obey us, the Holy See already agrees with us"(?) Are we to accept and obey without knowing what must be accepted, to what one must obey? An obedience tamquam cadaver to quote Saint Ignatius? We are particularly concerned to know if "the appointment of Bishops" also includes giving legitimacy to the seven. Does it include reappointing the bishops of the "underground" community presented this time by the government? What about those who won’t accept reappointment? Do we just thank the government for finally recognising them as bishops emeriti?